A Rotherham pub is among the lots being sold at SDL Auctions Graham Penny’s first Nottingham auction of the year at Nottingham Racecourse on Friday 15 February. 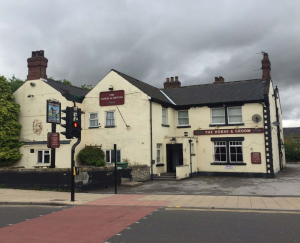 The Horse & Groom, Barnsley Road, Goldthorpe is among 32 lots being sold on the day, and part of a bumper three day 187-lot East Midlands catalogue, which covers auctions in Nottingham, Derby and Leicester, as well as online lots which are available to bid on before the auction. The two-storey detached public house, which has a *guide price of £115,000+, has residential accommodation above and sits in the centre of a large car park. It has a prominent position just 500m from Goldthorpe railway station and has potential for change of use or redevelopment, subject to planning permission. Other lots likely to appeal to investors and developers include a selection of building plots with planning consent. In Nottinghamshire, land adjacent 19 Short Street, Sutton in Ashfield, has detailed planning permission approved for a three-bedroomed link-detached house with driveway. The plot is within walking distance of Sutton-in-Ashfield town centre and has a guide price of £23,000+. A building plot at Gresley Road, Louth, Lincolnshire, is a cleared site in an established residential location with detailed planning consent for a pair of semi-detached houses. Approved in March 2018, the plans show a pair of large two-bedroomed semis but these could be reconfigured to provide three-bedroomed houses. The plot has a guide price of £38,000+. Heading north to County Durham, a plot of land at Horse & Groom, Consett Road, Consett, provides a residential development opportunity, with outline planning permission granted for nine semi-detached homes. The site, which is wrapped around the rear of the Horse and Groom pub, has rural views and a guide price of £210,000+. Andrew Parker, managing director and auctioneer at SDL Auctions, said: “We are very much looking forward to returning to the auction room for first Nottingham auction of the year. The auction is at Nottingham Racecourse on Friday 15 February. To view any of the properties or book a viewing, click here.